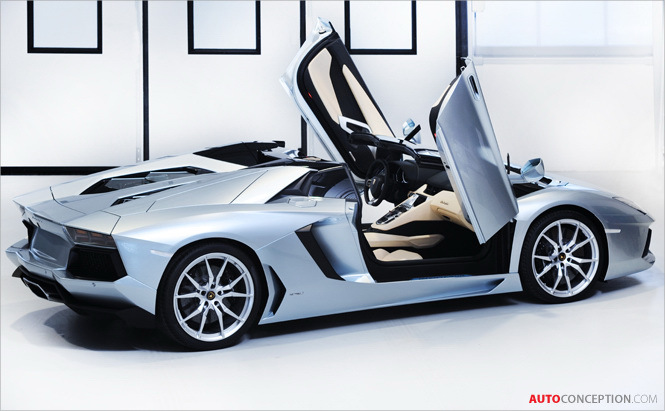 Lamborghini has revealed the new Aventador LP700-4 Roadster – a car which the Italian manufacturer is hoping will set the new benchmark in the world of open-top luxury super sports cars. 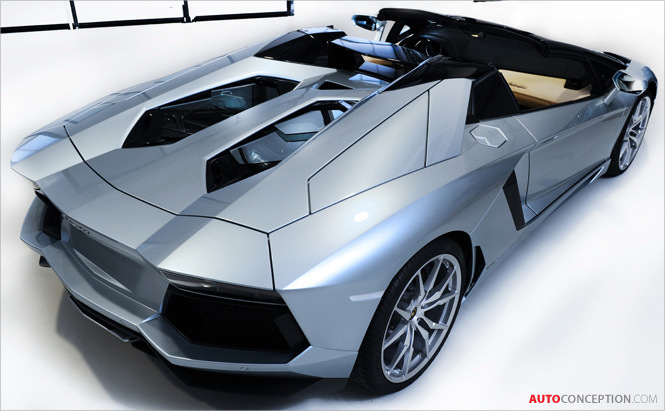 On the heels of the successful coupe introduced in Summer 2011, and with over 1,300 units already delivered to customers, the House of the Raging Bull is now offering the convertible version of the Aventador. 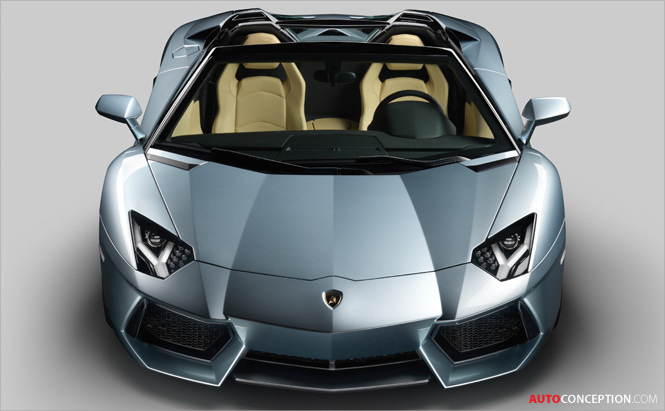 The two-piece roof is made entirely from carbon fibre using various technologies such as RTM and Forged Composite®. These technologies offer aesthetic performance and stiffness although each component is extremely light, weighing less than 6 kg. These two parts are designed to be removable, easy to handle, and being lightweight and simple to attach, can be stored in the front luggage compartment. 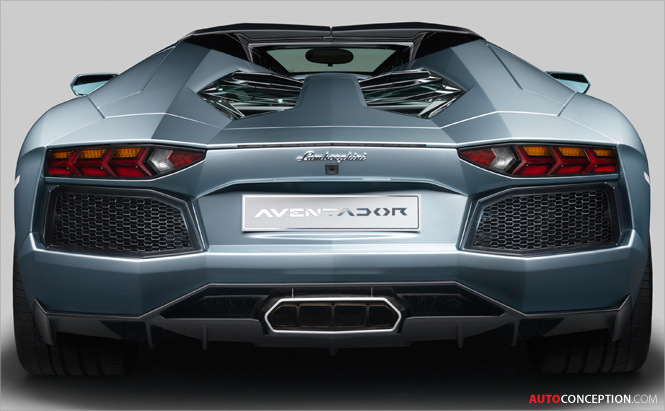 The rear pillar has been redesigned to offer support for the removable roof, accommodate an automatic protection system for passengers, and provide the engine compartment with ample ventilation. 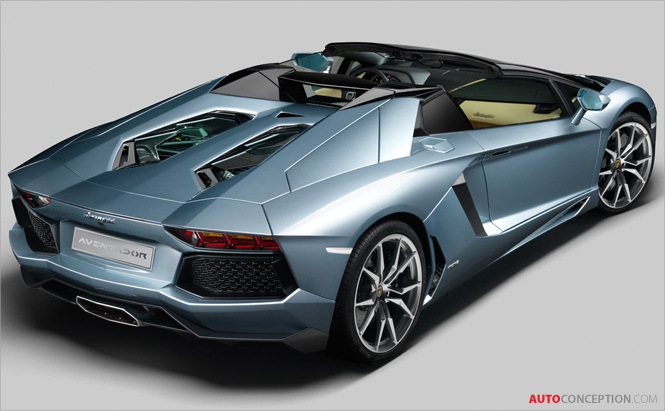 Right at first glance, it’s noticeable that the engine hood on the Roadster differs from the hood on the coupé because of its central “spinal column” with two pairs of hexagonal windows connected at the sides as if they were hyper-tech armor plates. 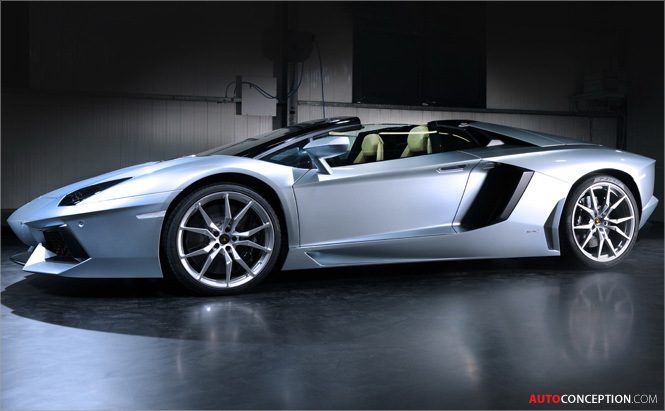 Their purpose is to cool the engine, drain off rain water properly and, of course, allow the V12 power unit to be admired. 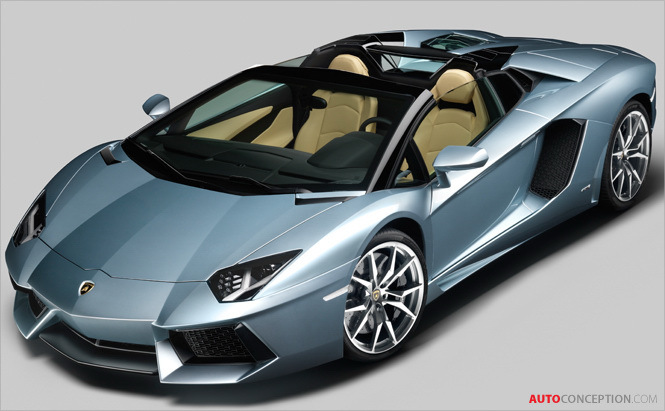 The driver of the Aventador Roadster and his passenger can decide for themselves how intensely they would like to experience the drive. 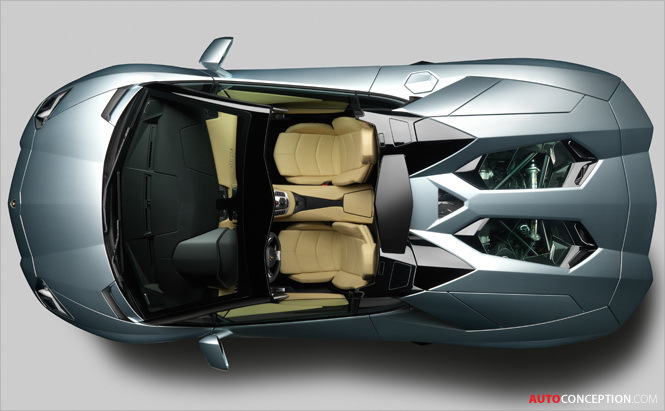 The powered rear windshield not only influences the flow of air in the vehicle, but also controls the experience of the sound from the twelve-cylinder engine. 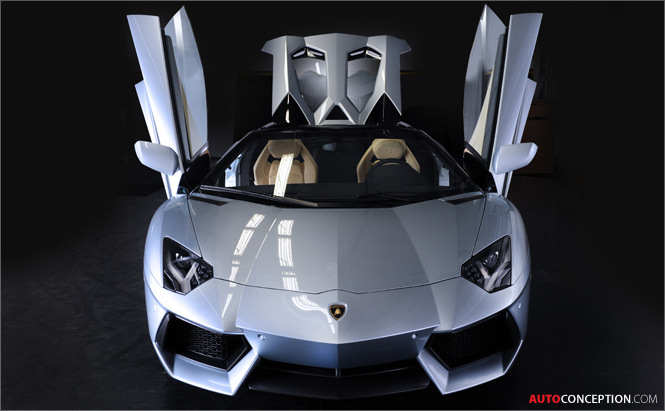 The wind deflector rests on the front windshield frame and can likewise be stored in the luggage compartment when not in use. 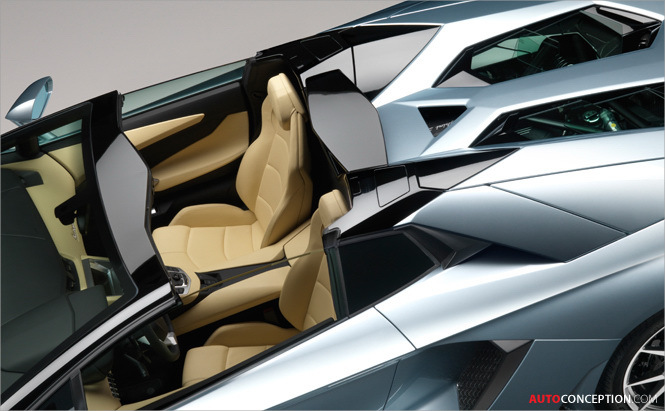 The Aventador Roadster is also equipped with door windows with chamfered edges, which underline the sharp side profile of the car. The body of the new Lamborghini Aventador LP 700-4 Roadster sports a two-tone finish, as the windshield pillar, the two roof sections and the rear window area up to the “fins” are painted in gloss black. 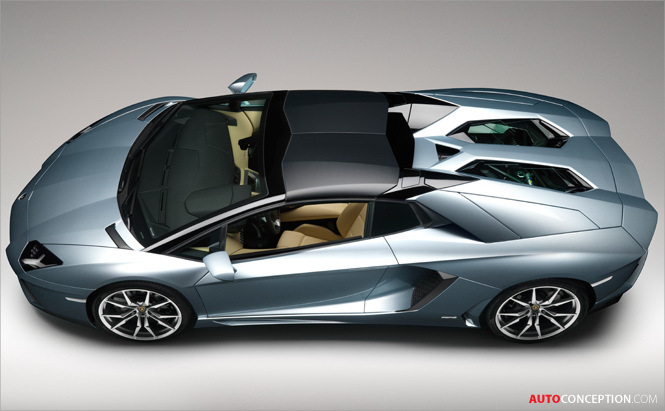 The visual effect is that of a completely open vehicle. 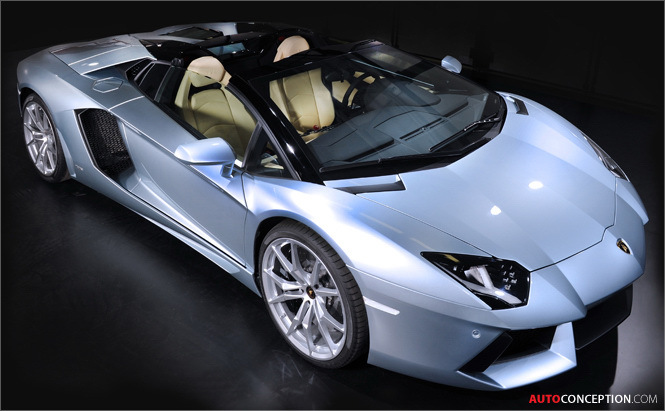 The range of colors available for the Roadster has been supplemented with a very light, metallic blue color, Azzuro Thetis, whose tone varies with the angle of the light. 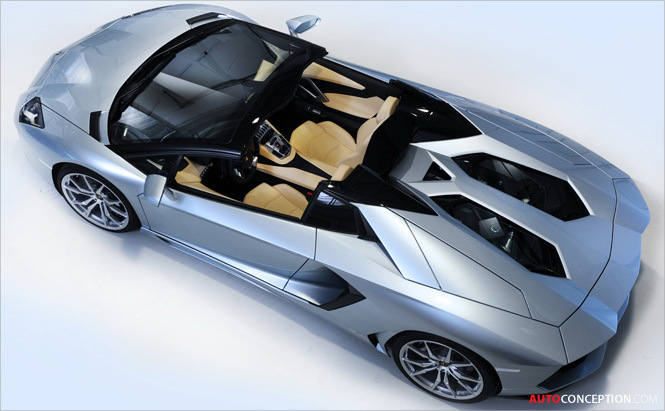 This color recalls the shade of the 1968 Miura Roadster, and both highlights and reinforces the lines of the vehicle by adding a certain dynamism. 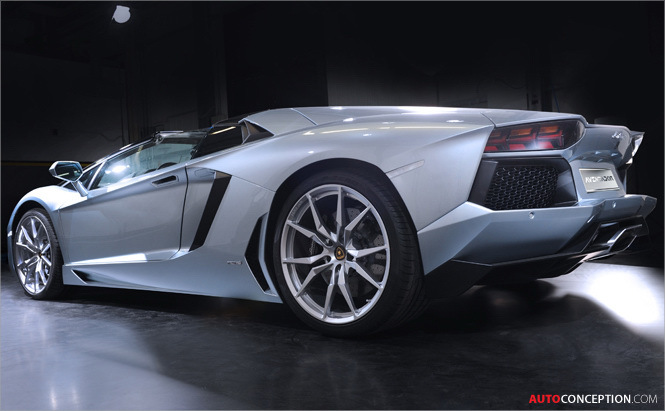 Finally, the new Aventador LP 700-4 Roadster also features new Dione 20”/21” rims with a further a aggressive look. 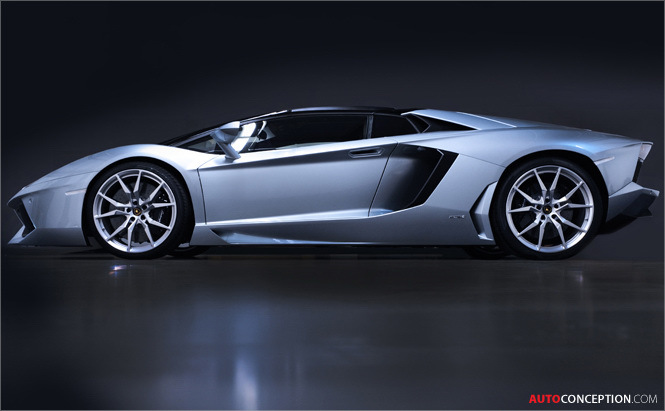 Crafted in light forged aluminum, they lower the weight of the vehicle by 10 Kg as compared with the standard set of rims. 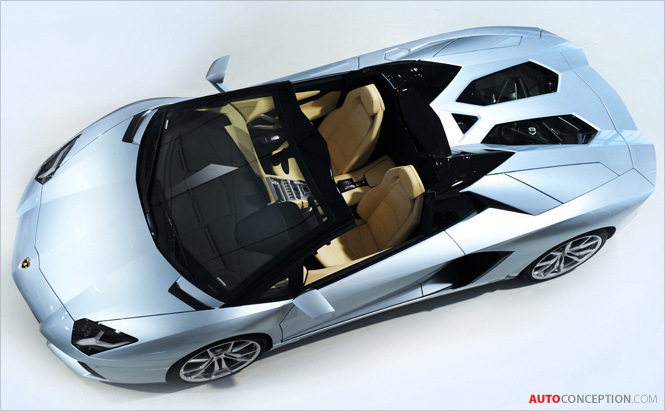 The new Aventador LP700-4 Roadster accelerates from 0 to 100 km/h in 3 seconds flat and has a maximum speed of some 350 km/h. 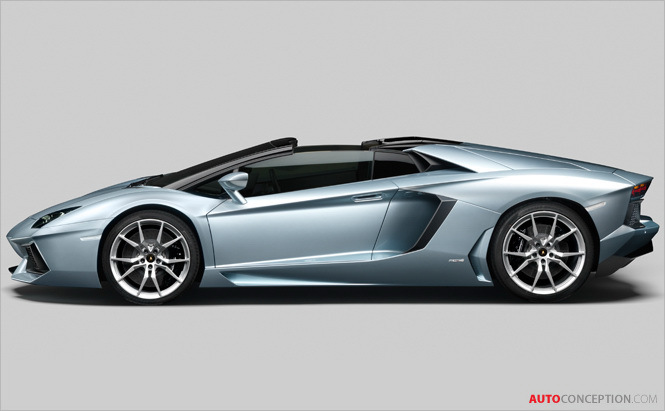 These numbers, combined with a drive train featuring a centrally located, 6.5 liter aspirated V12 generating 700 hp, an ISR 7-speed gearbox and push-rod suspension make the new Aventador Roadster a super sports car with little or no direct competition. 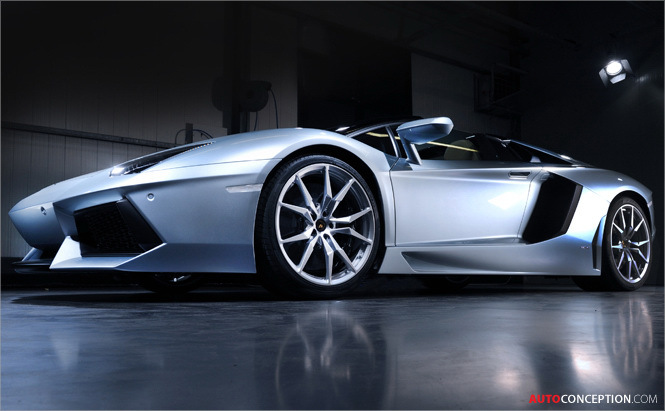 Of course the Roadster’s V12 also includes a cylinder deactivation system when the engine is working at partial capacity, while the instant Stop & Start system includes high-performance capacitors known as supercaps to awaken the engine. 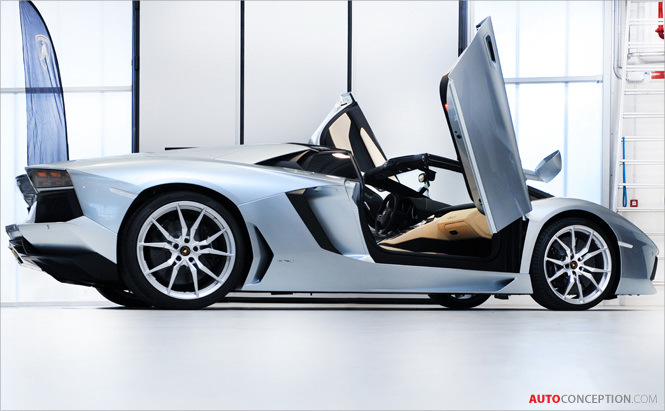 This is a claimed first in the super sports car segment.